Lights are out. 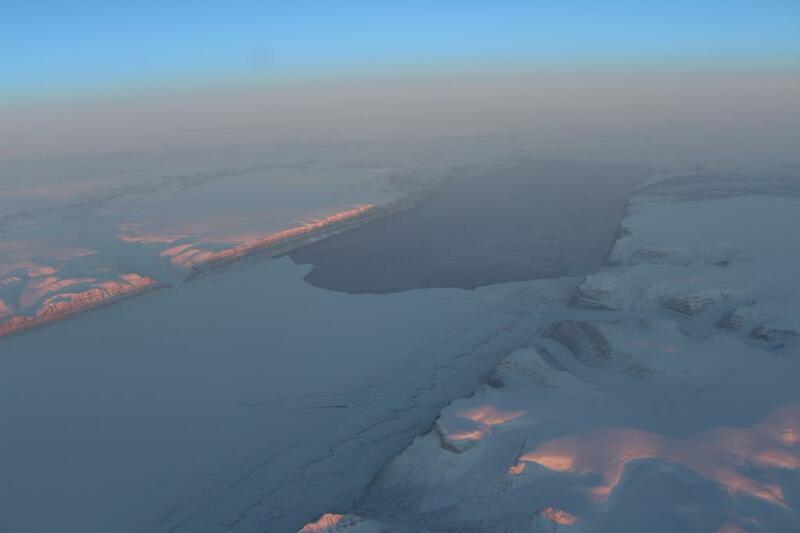 Our ocean weather station on a floating glacier of northern Greenland confirms what the U.S. Naval Observatory reports for location 60 degrees and 30 minutes West longitude and 80 degrees and 40 minutes North latitude: As of today the sun is no longer above the horizon and will not rise until 23 February 2016. Total darkness means no solar power for the station that will have to survive on a fancy car battery temperatures as low as -50 degrees centigrade. Last week with the sun still up our station recorded -30.4 degrees celsius about 4 feet above the ice. How long will the station survive on that car battery? Voltage at Ocean Weather Station on Petermann Gletscher. … whenever the sun is up, the solar panels recharge the battery and the voltage goes up. As I use electricity, the voltage goes down. Lets ignore a small temperature effect and details on how much electricity we draw at what “amperage.” Instead, lets focus on the regular up and down of voltage for the last 60 days and how it suddenly went flat. The flat line at 12.5 Volts tells me that the sun is down. The station now uses the car battery, but how long will this last? Quick answer is … a day, if I am dumb. Or 150 days, if I am smart. Time will tell, if I made a mistake in either my power budget or my computer code that gives and takes power to a range of sensors. Scary stuff, and my little sister Christina Parsons can attest, how nervous I was, when I uploaded new power-saving software that I wrote from my attic at home to the station in Greenland. The station did take the new software, restarted itself, and works making one data call each day instead of three. Data are still collected every hour, but I save 20% of total power. Sky over Petermann Gletscher at Site PG13 about 13 km from the grounding zone. So, as of this morning at 4 am Delaware time, the station now in total darkness tells me that the ocean temperatures 700 meters below the 100 meter thick glacier are +0.3 degrees Celsius while air temperatures 2 meters above the ice are -11.1 degrees Celsius. Now what that means to the melting of the glacier by the ocean, I will have to tell you at another time in more detail. These data are the ONLY data from below any glacier to the north of the equator. We are really breaking new ground and are making new discoveries as we go along … as long as there is power. Hopefully there is no dumb mistake in my power budget. 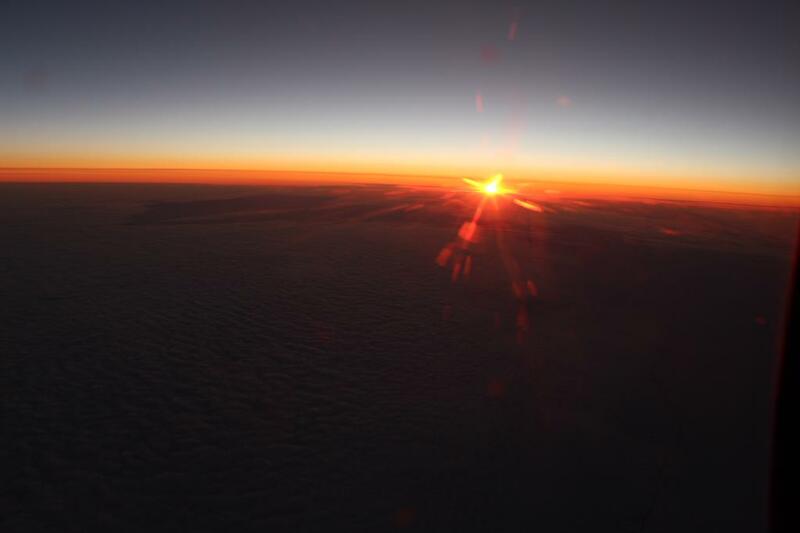 Sun over the horizon of Greenland as seen during NASA’s Operation IceBridge Flight in October 2015. This entry was posted in Arctic Glacier, Computing, Greenland, Iridium, Petermann Glacier, Petermann2015 and tagged glaciers, Greenland, moorings, NASA, Petermann, power, sun set, weather. Bookmark the permalink. I accept all power(s) that help me through the night. You’d be surprised how much draw there is in a little flickering LED that is on all the time. I switched a power-hungry power regulator as it blew my power budget. The regulator makes sure that the batteries are charged properly. That “little power” draw ALL the time is much worse, usually, than that “high power” draw that is on only briefly.